‘The Justice League’ Film is on the Hunt For a Director or Directors!!! 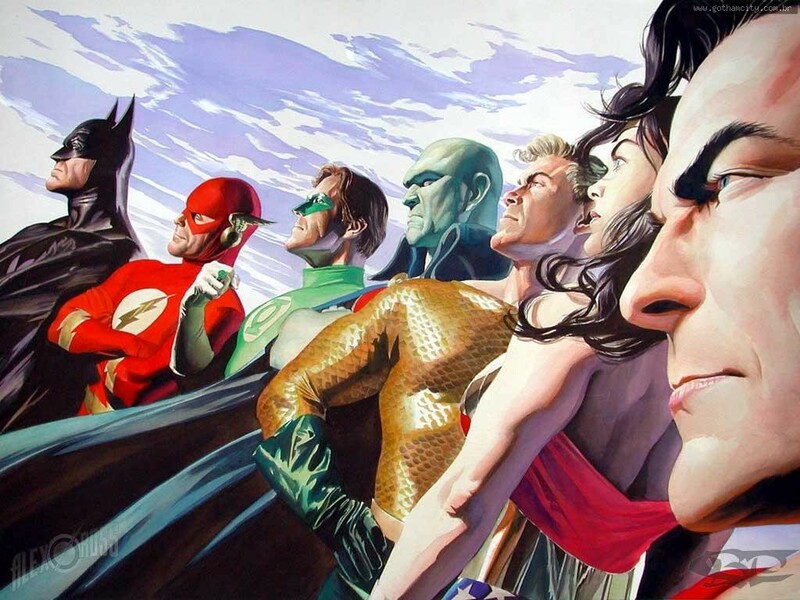 With the success of ‘The Avengers’, it’s not surprise that Warner wants to do ‘The Justice League’ film, which will put most of the DC superheroes together to fight evil. We have talked before on how Warner expressed interest in Ben Affleck directing this epic project. However we hear that Affleck isn’t wanting to do the picture, because he is busy doing his own projects. And I can understand that. He can have total control over his own films, but with this big budget project, I doubt anyone will have total creative control. However, according to MovieHole, it seems like Warner is looking to court the Wachowski siblings to direct ‘The Justice League’. That’s right, Andy and Lana Wachowski, the creative duo who brought us the Matrix trilogy, ‘Speed Racer’, and the upcoming ‘Cloud Atlas’, which Warner is very impressed with. The Wachowski’s were also heavily involved with ‘V for Vendetta’, so they are no stranger to the comic-book universe. The Wachowski’s ‘Matrix’ trilogy is one of the most successful trilogies of all time, and it made tons of money for Warner. Plus, the Wachowski’s not only know what they are doing with visual FX and technology, but they have proved they can tell a story with great characters. All key elements with a project like this. I think the Wachowski’s can do a great job. And perhaps, Warner can get Christopher Nolan and Zack Snyder to produce the film. Will Beall is writing the film, which his two previous credits include the tv series ‘Castle’ and the upcoming ‘Gangster Squad’ film. However, his future writing projects include this epic ‘Justice League’ film, the ‘Logan’s Run’ remake, and ‘Lethal Weapon 5’. It seems that Hollywood is investing a lot in this writer. Nothing is set in stone, but the Wachowski’s can do this film franchise “justice”. We will update you when more info comes available. Who would you want to see as director? This entry was posted on Monday, August 27th, 2012 at 12:24 pm	and is filed under Comics, Film, News. You can follow any responses to this entry through the RSS 2.0 feed. You can skip to the end and leave a response. Pinging is currently not allowed. « See What Cool Musician/Singer Will Guest Star on ‘The Simpsons’!! !